Step 1. Select your favorite commodities. Step 2. Click "Buy Now", it will link you to MyCommerce, then finish selecting purchasing quantity. 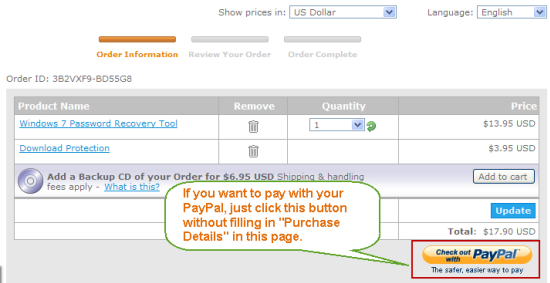 If you select PAYPAL for your payment method, you just need to click PayPal button and sign in your account to confirm your payment. 1. 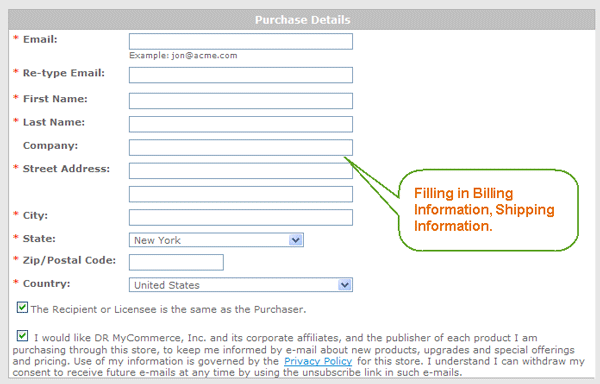 Filling in Billing Information, Shipping Information. 2. 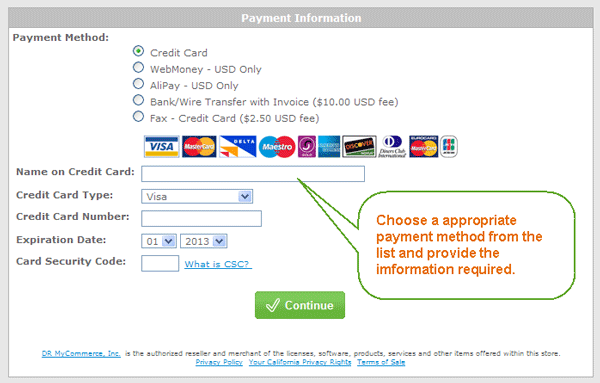 Choose a appropriate payment method from the list at the bottom of the page, provides the information required. Hit "Continue" button. 3. Check the product and amount again, then hit Buy Now button. 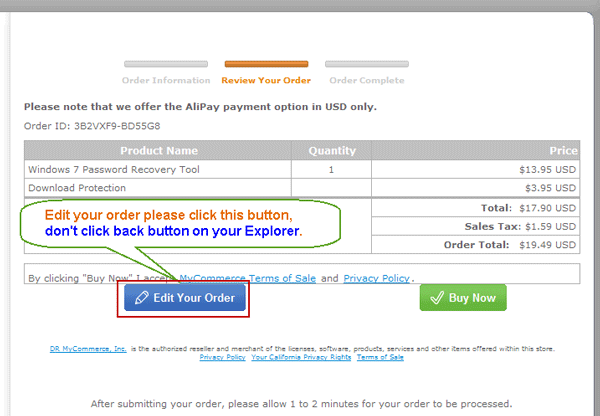 Note, if you want to edit your order please click "Edit Your Order" button. Don't click Back on your explorer. In case that you do that and get error as "Invalid Order Action", please close your explorer and clear your cookies, then order again. Step 4. As soon as your payment is done, our system will automatically send links for the retail version, licence code, and receipt to you by email within 24 hours(often in minutes). If you did not receive the mail within 24 hours, please first check your spam folder, still not found, please send email to us: support@wimware.com. Payment Methods: How to make payment? 3. Visit product page again and click “Buy now” button again. Click on the ”Tools” menu and select “Options”. The best way to find and delete them is to close Internet Explorer then use your file management software (such as Windows Explorer) and search for a folder called ‘cookies’. In Netscape, all cookies are stored into one file, called Cookies.txt, in the user preferences folder, making them easy to find and delete. The folder can be located by using your file management software to search your hard disk drive for “cookies.txt”. Users of Netscape Navigator 4.x may also stop cookies from being written to the hard drive, by making the cookies file read only. However, even if the browser can’t “write” cookies to the hard drive, it can still cache them, and it may create a new cookie file.